There is evidence that Jews have lived in Tuscany since the Early Middle Ages, although it was in the period of Medici rule that Jewish-owned banks and moneylenders really began to grow. Florence and Pisa had the largest Jewish populations, although many of the smaller towns also had significant Jewish communities. On one hand, the politics of the Grand Duke of Tuscany confined the Jews to the ghettos (in order to gain the sympathy of the Pope) but on the other, we see that certain families, such as the Orsinis, gave refuge to the community and Jewish refugees. Many of these refugees then went on to reorganise themselves in towns like Sovana, Sorano and Pitigliano. At the turn of the sixteenth century, the ‘Livornina Law,’ which created a Jewish settlement in the city of Livorno, was passed. This law stated that all Jews who settled in the port town of Livorno would be guaranteed their freedom, including freedom to worship as they pleased. Over the last few centuries, Jewish culture has become much more widespread both in the larger Tuscan towns as well as the more secondary ones. The Tuscan towns which still have large, active Jewish communities today are Florence, Livorno and Pisa. In Florence, there is an important synagogue, or temple (built in the second half of the nineteenth century) with a Jewish Museum next door. Nothing remains of the ancient ghetto which was razed to the ground during the city’s urban renovation work in the 1800s. Of the two Jewish cemeteries, only one is still in use and it is in the Rifredi district. It contains interesting tombs and funeral monuments. Livorno has been home to a large Jewish population since the end of the sixteenth century. It was at that time that the first synagogue was constructed on what is today called Via Grande. This was destroyed during WWII bombing and a new one was built in 1962. This present synagogue is a modern structure and was built on the site of a seventeenth century temple. The cemetery (on Viale Nievo) is home to some very interesting chapels and funerary monuments. There is also still a synagogue at Monte San Savino; traces of the Jewish community are still evident at the so-called ‘Rabbi’s Throne’ and around the Christian cemetery. According to certain sources, the first Jewish settlement in Pisa dates back to the middle of the ninth century. The Jewish community has always had an important role in the life of the city. It is believed that there was a synagogue in the ‘Chiasso dei Giudei’, which is in the present day Piazza dei Cavalieri. After that, the community’s meeting place was Palazzo da Scorno, on the Lungarno Galilei. 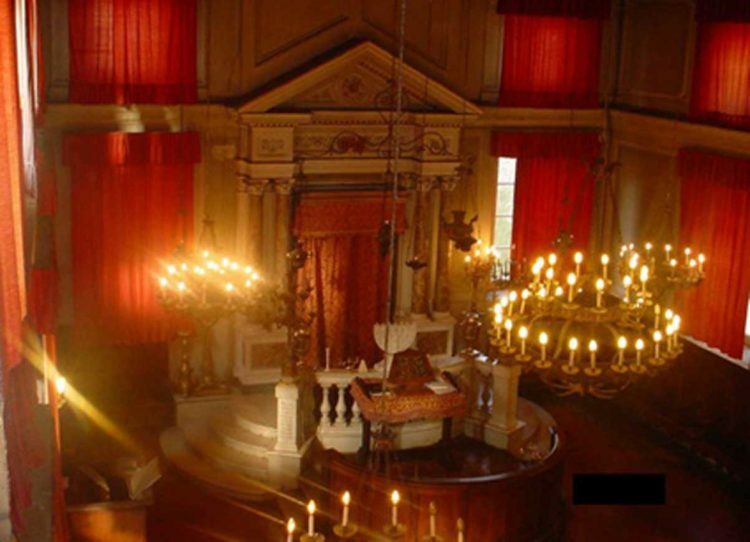 Today, there is a synagogue in Via Palestro and it has been home to the Jewish community in the city since the end of the sixteenth century. The modern day cemetery, near the republican walls beyond Piazza del Duomo, is the forth of a series of burial areas. The tombstones are noteworthy and some of the tombs show highly skilled workmanship. In Pitigliano, which was home to a flourishing Jewish community, it’s possible to visit the ghetto, with its oven for making unleavened bread, and the synagogue, which has been recently restored along with the ancient cemetery. In Siena, it’s still possible to view traces of the city’s ancient Jewish ghetto. The synagogue in Via delle Scotte was built in the second half of the eighteenth century, while the cemetery is quite ancient. Similarly to Pitigliano, Sorano was also home to an important Jewish settlement. The only thing remaining today that testifies to the presence of this community is the old gateway to what was once the ghetto. There was also a Jewish settlement in Viareggio and since the 1950s there has been an oratory in Via degli Oleandri, which serves the community and the numerous Jewish tourists who come to the town. The fate of Tuscan Jewry in the early modern period was inextricably linked to the favor and the fortune of the House of Medici. Though a Jewish presence was registered in Lucca as early as the ninth century and a network of Jewish banks had spread throughout the region by the mid-fifteenth, the organized Jewish communities of Florence, Siena, Pisa and Livorno were political creations of the Medici rulers. And like the Medici Grand Dukedom itself, these communities took shape over the course of the sixteenth century. In the 1490s, under the Catholic theocracy of Fra Girolamo Savonarola, both the Medici and the Jews were expelled from Florentine territory. When the Medici returned to power in 1512, the Jewish ban fell into abeyance, until the next expulsion of the Medici in 1527. In 1537, Cosimo de’Medici seized definitive control of the Florentine government and reorganized it as a princely state – the Dukedom (later Grand Dukedom) of Tuscany. This state flourished for two hundred years, under seven successive Medici rulers: Cosimo I, 1537-1574; Francesco I, 1574-1587; Ferdinando I, 1587-1609; Cosimo II, 1609-1621; Ferdinando II, 1621-1670; Cosimo III, 1670-1723; and Gian Gastone, 1723-1737. As a sovereign prince, Cosimo I was free to dictate new terms of Jewish resettlement according to his own best interests and those of his regime. Coming from a merchant family himself, Cosimo I recognized the vast potential of Jewish capital and Jewish entrepreneurship, dispersed by the Iberian expulsion of the 1490s. By the mid-1540s, less than ten years after he gained the throne, Cosimo I began recruiting affluent Spanish and Portuguese Jews for resettlement in his capital city of Florence and his chief port city of Pisa. 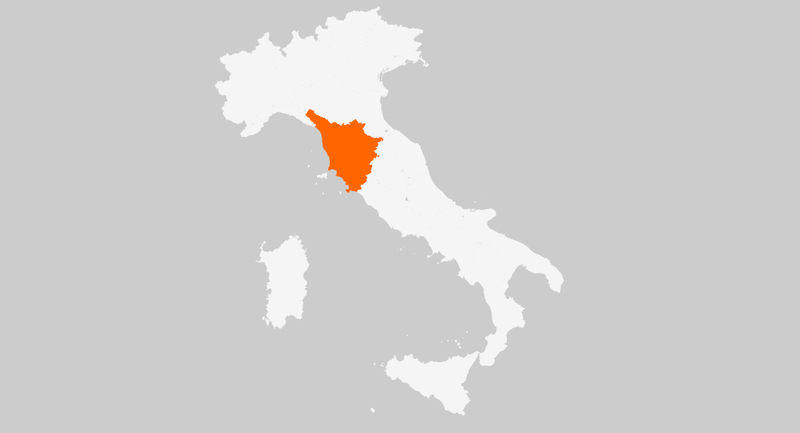 At the same time, many displaced Italian Jews who were neither bankers, nor wealthy merchants, came to Tuscany as well, particularly after the final expulsion of the Neapolitan community in 1540 and the creation of ghettos in the Papal cities of Rome and Ancona in 1555. Cosimo I’s liberalism was limited in scope and pragmatic in principle. During the lifetime of his wife Eleonora di Toledo (married 1539, died 1562), it was probably also influenced by her strong relationship with Benvegnita Abravanel, whom the Duchess had known in Naples before her marriage and whose family eventually settled in Tuscany. In the first decades of Cosimo’s rule, Jews thrived particularly in Pisa, where an influential Jewish banking elite developed. This entrepreneurial class also produced famous rabbinical scholars, including Vitale (Yehiel) Nissim da Pisa, and his son Simone, who graduated as a Doctor of Medicine from the University of Pisa in 1554. There were also scattered settlements of Jewish men and women throughout Tuscany who enrolled in artisan guilds, owned houses and orchards, produced wool and other marketable goods and led generally stable lives. After actively courting the Jews in the 1540′s and 1550′s and granting them many privileges, Cosimo I began retrenching in the late 1560′s and 1570′s as political relations with Spain and the Papal State became paramount. In 1567, he reimposed badges of identification for Jews, in 1570 shut the Jewish banks, and in 1570-71 restricted legal Jewish settlement to two new ghettos in Florence and Siena. In practice, Medici rule was characterized by a shifting balance of privileges and concessions and, for Jews in Tuscany, the door was never as open nor as closed as it might seem. For example, some returned to live in Pisa only a few years after their expulsion and a Jewish community was permitted, even encouraged, to thrive in that great “special case” – the city of Livorno. In 1591 and 1593, less than a quarter century after Cosimo I ghettoized his Jewish subjects, his son Ferdinando I invited Jewish merchants to to settle in Livorno, granting them free residence, unlimited access to trade and extensive self-government in this new Medicean free-port on the Mediterranean. The Livorno experiment was a triumph of enlightened self-interest for both the Jews and the Medici. Indeed, this thriving commercial hub became so essential to the Tuscan economy that even Cosimo III (1671-1723), the most bigoted of the Medici Grand Dukes, had little choice but to respect Jewish rights there. Vast fortunes were made by an Iberian merchant aristocracy that gave Livorno Jewry its particular culture and character. However, the Livorno community also included “levantini” from Turkey and North Africa, “ashkenaziti” from Northern Europe and Italian Jews of various origins. In addition to banking and trade, especially with the East, the Jews of Livorno developed diverse manufacturing enterprises. In the late sixteenth century, Maggino di Gabriele moved his glass and silk factories there from Pisa, in order to take advantage of the new freedoms. The Jews of Livorno established a monopoly on the Italian production of coral, which they frequently used to ornament their own liturgical objects. In 1632, they imported the first coffee into Italy and then opened the first coffee-houses. In 1650, Jedidiah Gabbai founded a Hebrew press in Livorno, giving rise to a major Jewish printing industry that supplied the Sephardic communities of North Africa and the Near East. Livorno was a major center of Jewish commerce, second in Europe only to Amsterdam. It was also a leading center of Jewish study and mysticism, particularly under the influence of Rabbi Joseph ben Emanuel Ergas (1685-1732) and other proponents of the Kaballah. Indeed, business, religion, medicine and science could be complementary enterprises. The medical doctor Mose Cordovero was among the pioneers of banking in Livorno around the year 1600. Elia Montalto di Luna, in the early seventeenth century, practiced medicine at the Medici Court while writing treatises on ophthalmology, astronomy and comparative religion. These fleeting references to people, places and events provide only a glimpse of the extraordinary richness of Jewish history and culture during the two centuries of Medici rule (1537-1743.) Although much historical research has already been done, scholars have only begun to mine the vast resources of the Florentine State Archive. Every day The Medici Archive Project is making exciting discoveries regarding Jewish affairs, not only in Tuscany but throughout Europe and the Mediterranean world–discoveries that continually reshape our understanding of the past and lead the way to future scholarship.